Mathematics uses many concepts in threes. 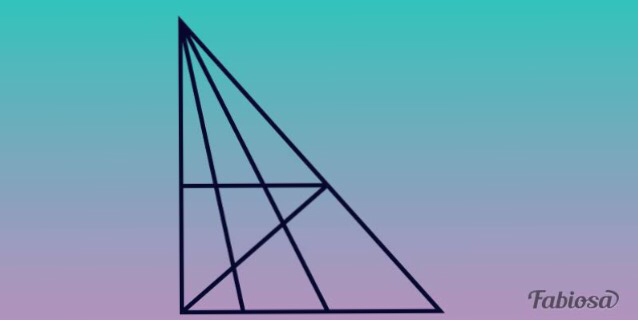 The first structure mathematically is a triangle. There are acute, right, and obtuse angles. 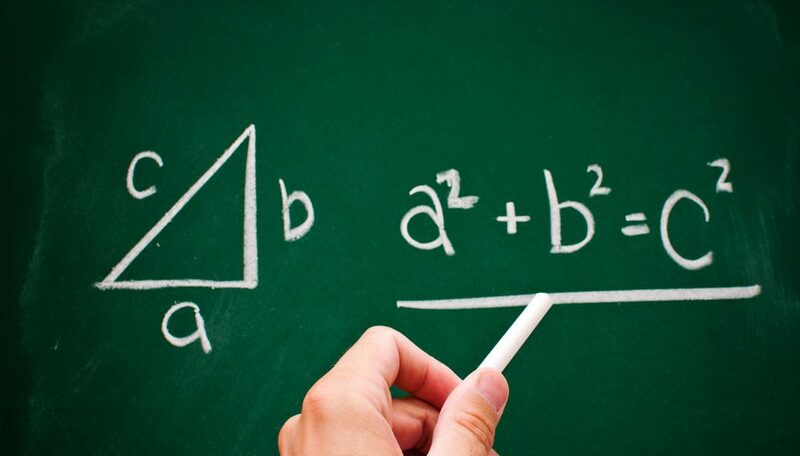 Trigonometry is the study of the relationship of the sides of a triangle. Have your heard of Pascal's Triangle? 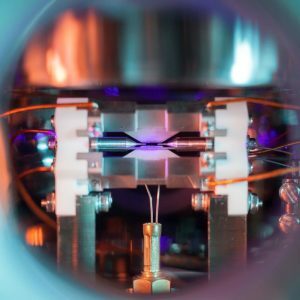 A remarkable photo of a single atom trapped by electric fields has just been awarded the top prize in a well-known science photography competition. 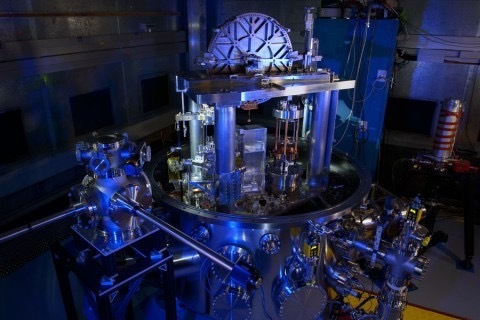 The photo is titled “Single Atom in an Ion Trap” and was shot by David Nadlinger of the University of Oxford. 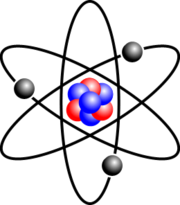 If there is no way in the world to see an atom, then how do we know that the atom is made of protons, electrons, neutrons, the nucleus and the electron cloud? There are three ways that scientists have proved that these sub-atomic particles exist. They are direct observation, indirect observation or inferred presence and predictions from theory or conjecture. Scientists in the 1800’s were able to infer a lot about the sub-atomic world from The Periodic Table of Elements by Mendeleyev gave scientists two very important things. The regularity of the table and the observed combinations of chemical compounds prompted some scientists to infer that atoms had regular repeating properties and that maybe they had similar structures. Other scientists studying the discharge effects of electricity in gasses made some direct discoveries. J.J. Thompson was the first to observe and understand the small particles called electrons. These were called cathode rays because they came from the cathode, or negative electrode, of these discharge tubes. It was quickly learned that electrons could be formed into beams and manipulated into images that would ultimately become television. Electrons could also produce something else. 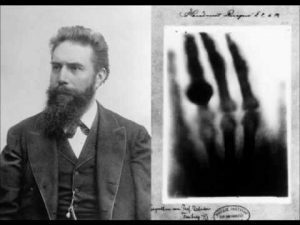 Roentgen discovered X-rays in 1895. His discovery was a byproduct of studying electrons. Protons could also be observed directly as well as ions as “anode” rays. These positive particles made up the other half of the atomic world that the chemists had already worked out. The chemists had measured the mass or weight of the elements. The periodic chart and chemical properties proved that there was an atomic number also. This atomic number was eventually identified as the charge of the nucleus or the number of electrons surrounding an atom which is almost always found in a neutral, or balanced, state. Rutherford proved in 1911, that there was a nucleus. He did this directly by shooting alpha particles at other atoms, like gold, and observing that sometimes they bounced back the way they came. There was no way this could be explained by the current picture of the atom which was thought to be a homogeneous mix. 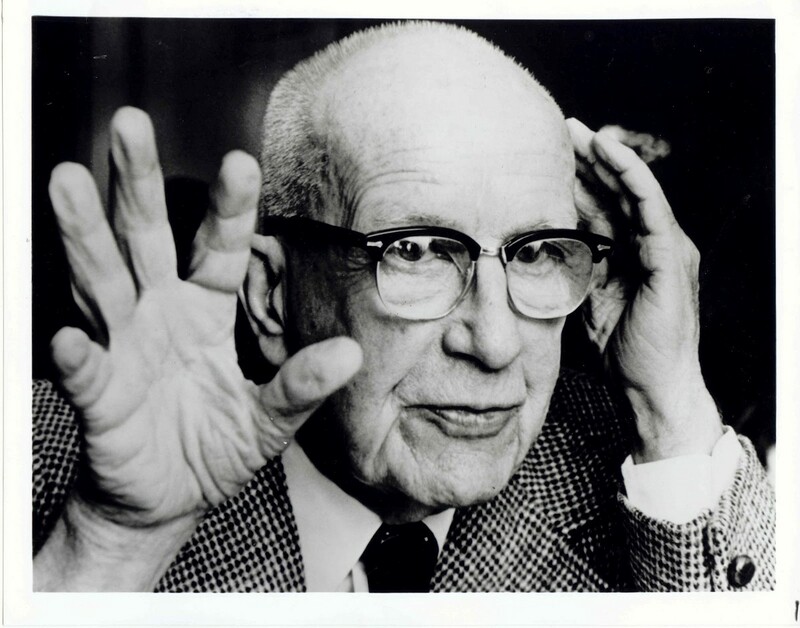 Rutherford proved directly by scattering experiments that there was something heavy and solid at the center. The nucleus was discovered. For about 20 years the nucleus was thought to consist of a number of protons to equal the atomic weight and some electrons to reduce the charge so the atomic number came out right. This was very unsettling to many scientists. There were predictions and conjectures that something was missing. 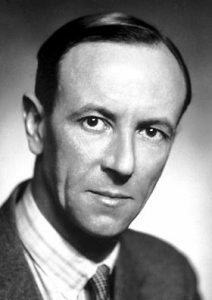 In 1932 Chadwick found that a heavy neutral particle was emitted by some radioactive atoms. This particle was about the same mass as a proton, but it had a no electric charge. 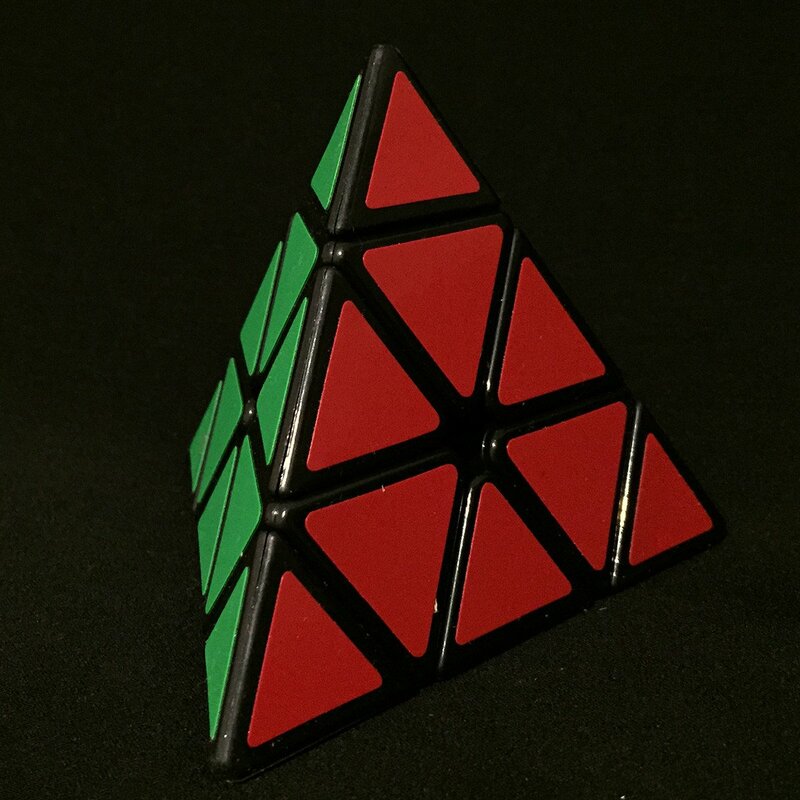 This was the “missing piece” (famous last words). The nucleus could now be much better explained by using neutrons and protons to make up the atomic weight and atomic number. This made much better sense of the atomic world. There were now electrons equal to the atomic number surrounding the nucleus made up of neutrons and protons. Mr. Roentgen’s x-rays allowed scientists to measure the size of the atom. 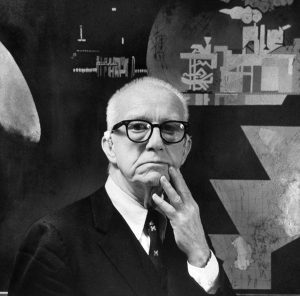 The x-rays were small enough to discern the atomic clouds. 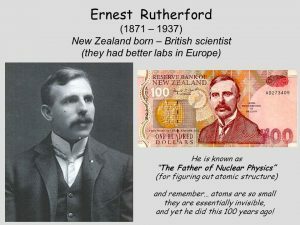 This was done by scattering x-rays from atoms and measuring their size just as Rutherford had done earlier by hitting atoms with other nuclei starting with alpha particles. 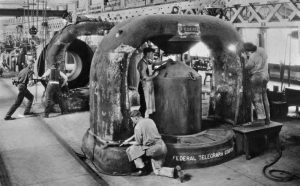 The 1930’s were also the time when the first practical particle accelerators were invented and used. These early machines made beams of protons. These beams could be used to measure the size of the atomic nucleus. And the search goes on today. Scientists are still filling in the missing pieces in the elementary particle world. Where will it end? 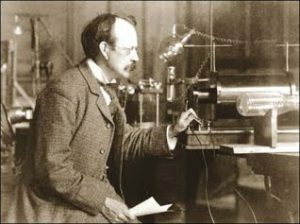 Around about 1890, scientists were lamenting the death of physics and pondering a life reduced to measuring the next decimal point! Discoveries made in the 1890’s proved that the surface had only been scratched. Fundamentally, this article is for people in a place like that. Our goal today is to clarify what these three major paradigms in software development are, how they relate to each other, and which you’ll want to use when. Contrary to popular belief, there isn’t a “right” or “wrong” answer ever. 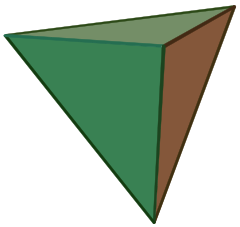 Four triangular faces along with six edges meeting at four vertices together describe the regular tetrahedron. The tetrahedron is the root of all entanglements that shape the perceivable bonds that hold life together in this dimension. 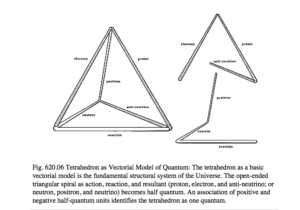 The regular tetrahedron can be found at the source of all three-dimensional forms and is fundamental in the creation of all patterns and holographic configurations. What shape is the Universe? 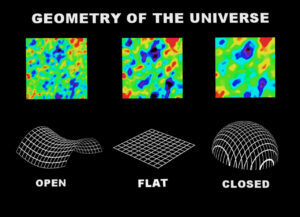 There are three possible geometries of the universe: closed, open and flat from top to bottom. The closed universe is of finite size and, due to its curvature, traveling far enough in one direction will lead back to one’s starting point. 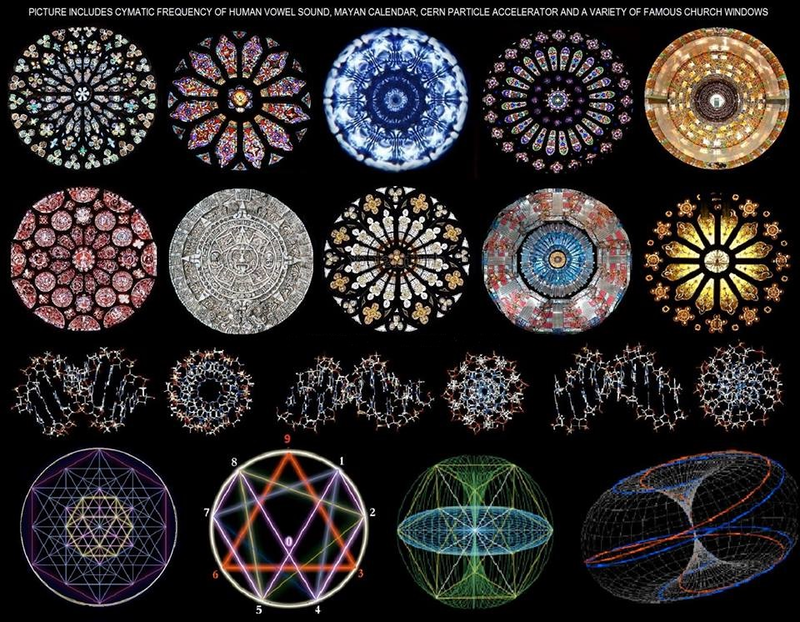 The open and flat universes are infinite and traveling in a constant direction will never lead to the same point. Universe with positive curvature. 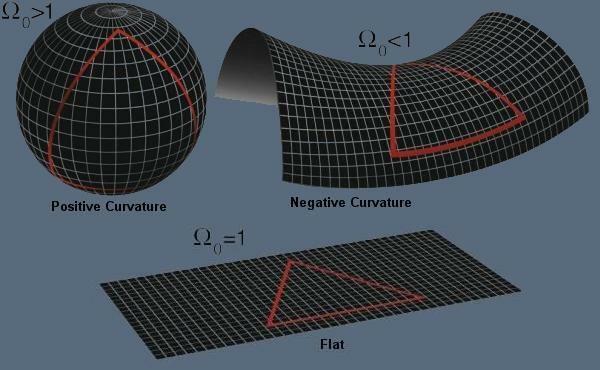 A positively curved universe is described by elliptic geometry, and can be thought of as a three-dimensional hypersphere, or some other spherical 3-manifold (such as the Poincaré dodecahedral space), all of which are quotients of the 3-sphere. At first sight, it seems like a simple question to answer. But there’s more to it than meets the eye. So, we have to put our minds to work. They say that if you can see 18, your IQ is 120 or higher. After you count them select continue. What do Euclid, 12-year-old Albert Einstein, and American President James A. Garfield have in common? 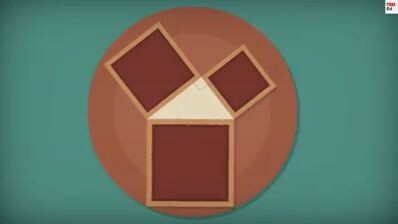 In mathematics, the Pythagorean theorem, also known as Pythagoras’s theorem, is a fundamental relation in Euclidean geometry among the three sides of a right triangle. It states that the square of the hypotenuse (the side opposite the right angle) is equal to the sum of the squares of the other two sides. They say that if you can see 18, your IQ is 120 or higher. After you count them look at the next image. Beneath three glass bell jars, in a locked vault in the basement of a highly secure facility outside Paris, sits the world’s most important kilogram. What is the composite function f o g? f is the outer function; g is the inner function. `Suppose f(x) = x-2 and g(x) = x2. (a) Find fog and gof. (fog)(x) = f(g(x)) = f(x2) = x2-2. In 1954, the tenth general conference on weights and measures adopted the Kelvin K as the basic unit for measuring all international weights and measures. 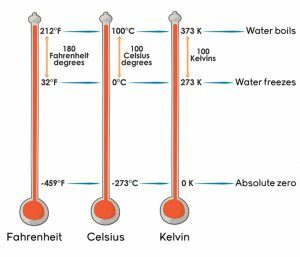 While the kelvin is the standard unit, degrees Fahrenheit and degrees Celsius are still in common use in the United States. 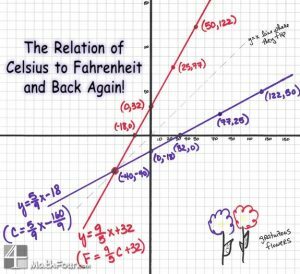 The function C(F)=5/9(F-32) relates Celsius temperatures and Fahrenheit Temperatures. 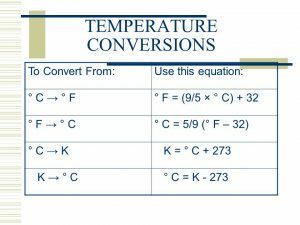 The function K(C)= C + 273.15 relates celsius temperatures and kelvin temperatures. 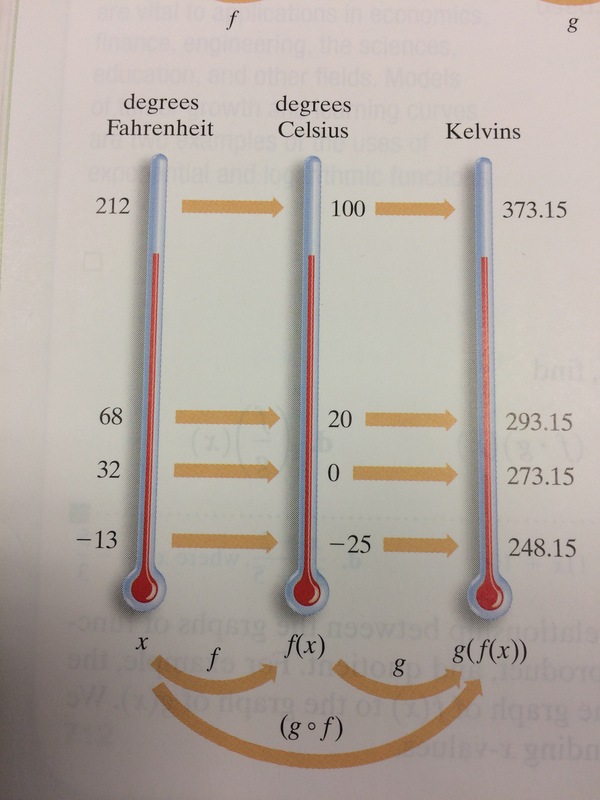 Since C converts Fahrenheit to Celsius and K converts Celsius to Kelvin, the composition will convert Fahrenheit to Kelvin. To convert Fahrenheit to Celsius, subtract 32 from the Fahrenheit temperature and then divide your answer by 1.8. To convert from Celsius to Fahrenheit, multiply the Celsius temperature by 1.8 and then add 32 to your answer. If you’re trying to convert Celsius to Kelvin, just add 273.15 to the Celsius temperature. 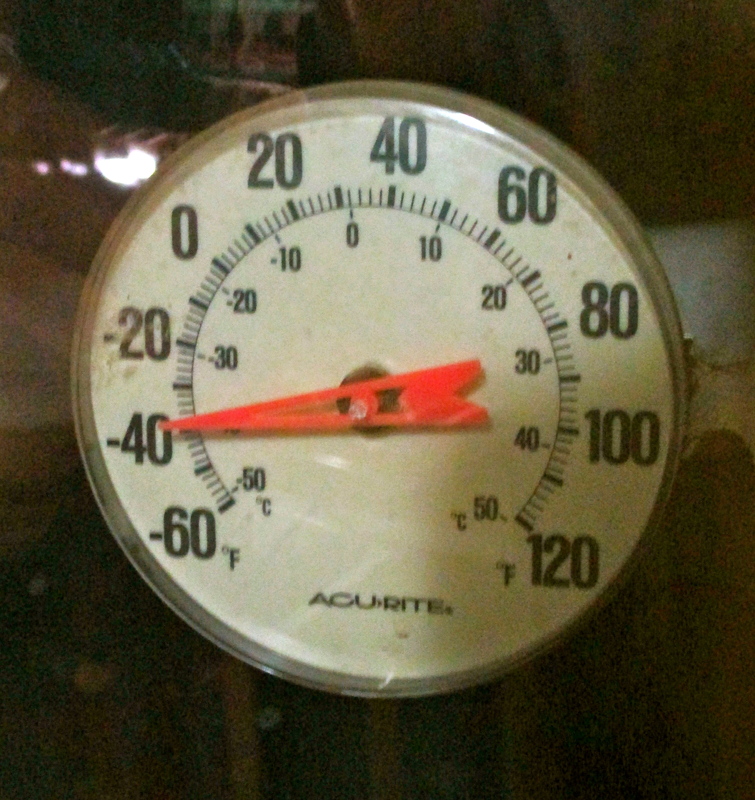 At what temperature are Fahrenheit and Celsius the same? Let’s solve a system of linear equations graphically then algebraically. To find the temperature when both are equal, we use an old algebra trick and just set ºF = ºC and solve one of the equations. So the temperature when both the Celsius and Fahrenheit scales are the same is -40 degrees.